This project aims to fundamentally change the methods for realizing and disseminating the SI units of pressure, temperature, and length. The underlying metrology behind these advances is the ultra-accurate determination of the refractive index of gases by picometer optical interferometry. For the pascal (Pa), an optical-based primary pressure standard will improve accuracy and allow the complete replacement of all mercury-based pressure standards. For the kelvin (K), a new route for gas thermometry will ensure accurate realization of thermodynamic temperature. For the meter (m), in situ high-accuracy determination of refractive index will provide corresponding accuracy for laser wavelength in air-based dimensional measurements. 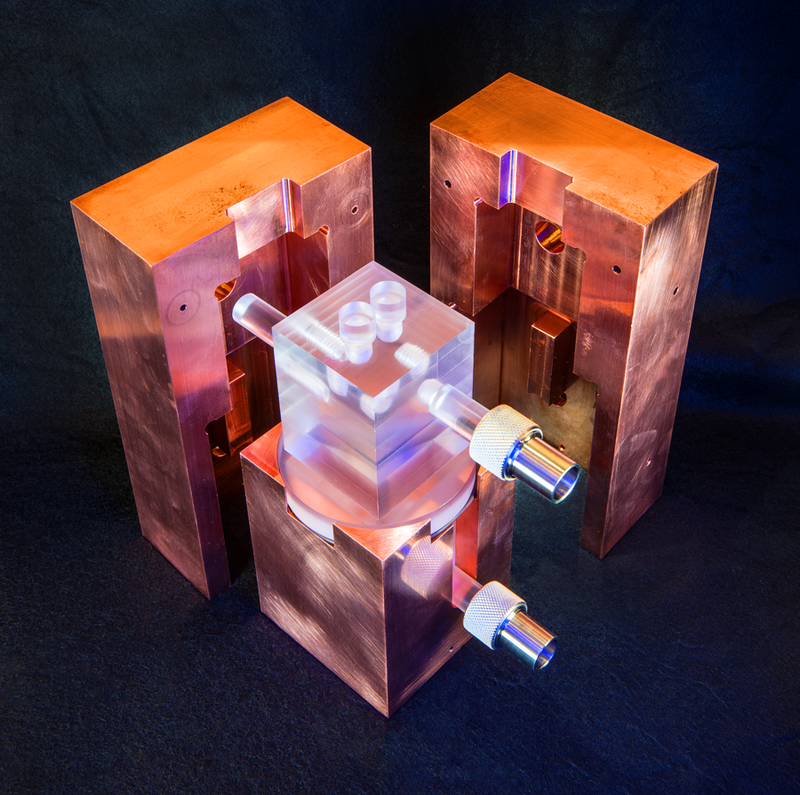 The primary goal of the research is to develop a laser-based, SI-traceable primary pressure standard (1.5 ppm, k=1) for use at NIST and other NMIs and a simpler, transportable secondary standard that can be deployed to industry. 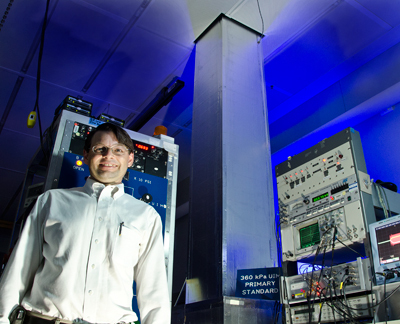 Accomplishing this goal will also provide instruments that will achieve traceability to the impending new SI definition of the kelvin and improve air-based dimensional measurements. The two instruments that will be developed are referred to as a variable-length optical cavity (VLOC) and a fixed-length optical cavity (FLOC). When either instrument is used as a pressure standard it is referred to as an optical interferometer manometer (OIM). l-r: G.Scace, D. Olson, J. Ricker, J. Hendricks, J. Stone, G. Strouse. Not shown: P. Egan, D. Gerty.